Odom’s Orchids - Florida Retailer activley promoting local societies. A website worth visiting. The Orchid House - ditto. Orchid Map is a map based search tool for information about orchids/vendors/etc based on location. The Orchid Photo Page - a great place for orchid pics! 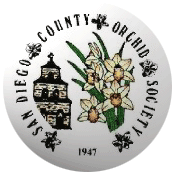 Orchid Web (American Orchid Society) is a great place to find information about orchids. OrchidWire The place for looking up orchid vendors or societies, over 800 orchid resources in 44 countries! Pollinator Partnership - Orchids - An overview of orchid pollination and pollinators with a focus on North American species. The Stanhopea Pages - Need we say more? By Nina Rach.